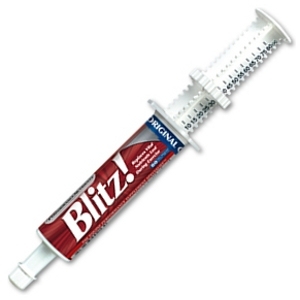 Blitz! incorporates the latest research and field trials into the ultimate pre-event vitamin/mineral product for performance horses. Blitz! provides a supplementary source of all the essential vitamins, minerals and amino acids that: have roles in the maintenance of normal muscle function, are involved in red blood cell formation, and have a role in recovery after strenuous exercise.